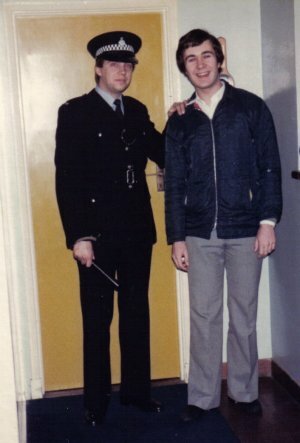 March 1983 saw the demise of the station during the Steve Day show with the DTI confiscation of the transmitter equipment and the subsequent prosecution of two members of the station staff. 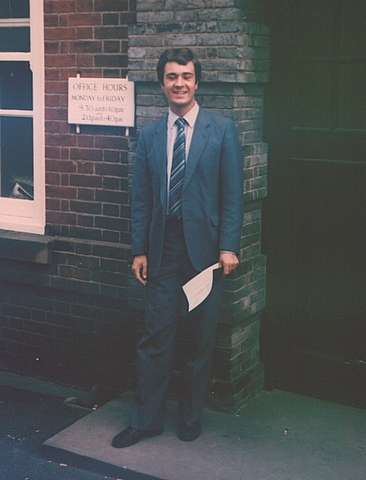 Rob James outside the magistrates court (the facial features and identities have been changed to protect the innocent) and again having his collar felt by a local 'bobby'. 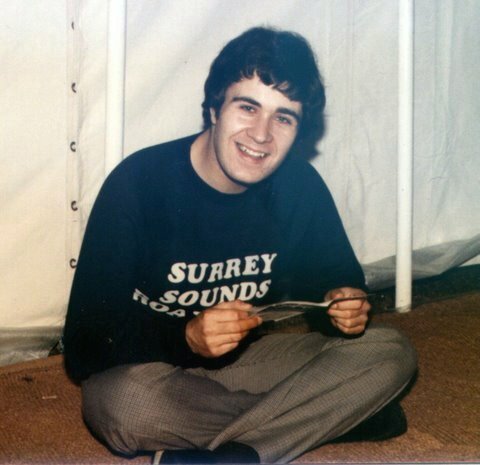 Steve Day sadly died in November 2003. Steve had been heavily involved with CAMRA and there was a nice write up about him in the London Drinker. 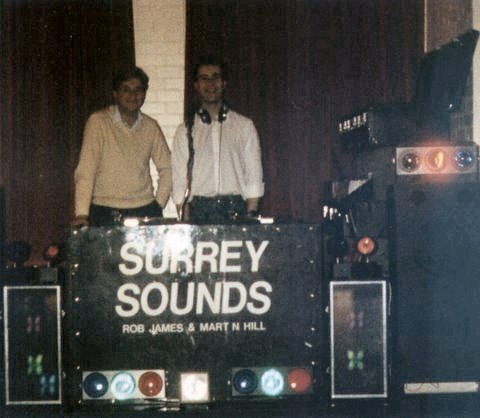 After the radio station closed down, Surrey Sounds lived on from 1984 until 1992 in the form of a mobile disco operated by former station DJs Martin Hill & Rob James using the name "Surrey Sounds Radio Roadshow"